A new resellers program has launched at AViCAD.com to allow CAD retailers a chance to offer an affordable AutoCAD Clone, which contains a complete set of Engineering Software Tools. Promotional pricing allows companies to compete with other products selling for nearly eight times as much. AViCAD.com recently announced a new resellers signup program which will allow CAD companies worldwide to offer AViCAD to their customers. The new AViCAD resellers partner program offers a 2 step signup and allows approved applicants to access advertising banners, videos and other marketing materials about the CAD application and engineering software tools. In addition, a public download section, which includes video demos and manuals, can also be accessed from a new support page available free to all interested resellers and users alike before signup or purchase. "We're really excited to expand our presence worldwide. We feel AViCAD really does offers something different when comparing it to other AutoCAD clones on the market." Victor continues, "AViCAD's got all the engineering tools needed for Plant Piping Design and more." Since AViCAD's premier release in late October 2011, AViCAD has become a superior AutoCAD Alternative for users who need either a complete CAD platform or engineering tools, according to Victor Abela, president of AViCAD. 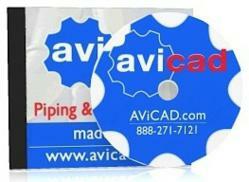 For a limited time AViCAD is also promoting customize resellers videos which can be branded with company name and logos. More details can be acquired by contacting their sales staff at sales (at) avicad (dot) com or by calling 888-271-7121 M-F PST.